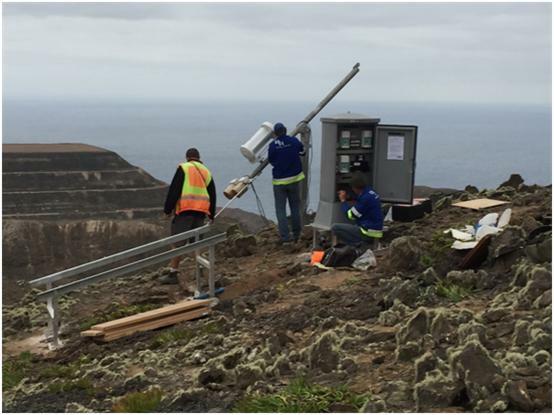 Contarnex Europe Limited (CEL) has been involved in an exciting new project to provide remote obstacle lighting (ROL) around the new airport on the remote tropical island of St Helena. For many centuries, this remote colonial outpost in the south Atlantic could only be reached after a long sea voyage – one of the reasons why it was chosen as a safe place of exile for Napoleon Bonaparte after his final defeat at the battle of Waterloo. Even in more modern times, it was only possible to reach the island by boat, a journey which could take up to 5 days, with a regular service just twice a month. Finally in 2016, an airport was built to serve the island’s population of 5,000 people and Contarnex was contracted to deliver ROL installations around the new facilities. The island is volcanic in origin, therefore the site of the airport is surrounded by high peaks, which makes it necessary to deploy safety lighting to help keep aircraft out of danger. Working in partnership with Thales, CEL was contracted to deliver three sub-systems to the island airport; ROLs – aircraft warning lighting to 12 radio controlled remote sites located on high ground around the airport, frangible approach masts, aviation warning light and control for the airport’s Air Traffic Control Tower. 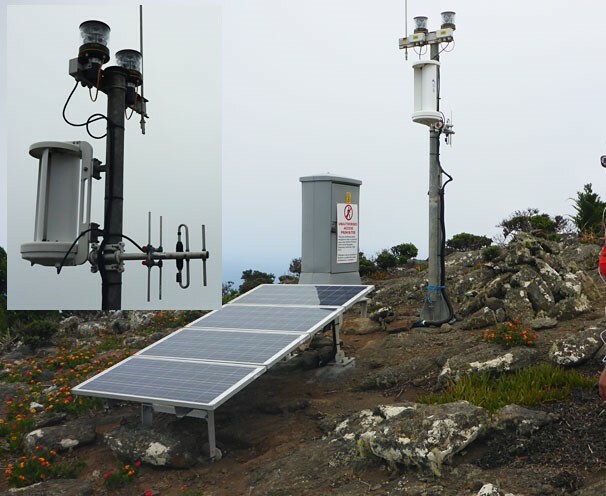 Each hilltop site includes a pair of CEL-MI-2KR-48 Medium Intensity lights (one main light, plus one reserve), a radio link, a monitoring unit and a charge controller. This equipment is powered by batteries that are charged by renewable power solar panels and a wind turbine, and suitable for operation in a range of extreme weather conditions, including wind speeds up to 160 kilometres per hour. All 12 sites are remotely controlled via a radio link, which allows the aircraft warning lights to be switched on and off from the main air traffic control building, as well as monitoring the battery charge level, the radio strength, the operational warning light and the photocell. 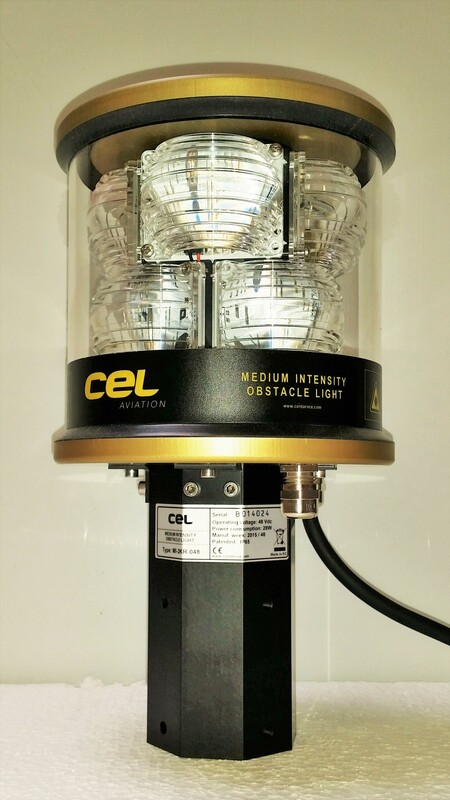 CEL’s lights are an LED variant, which conforms strictly to the International Civil Aviation Organization (ICAO) regulations for Type C medium intensity obstruction lights (ICAO Annex 14 Table 6-3). The complete system was designed in the UK by CEL, made in Europe, and shipped out to St Helena for installation by the local engineering team. In addition to the remote lighting installations and the warning light on the air traffic control building, CEL also supplied the Exel Frangible Support Structures for the lights on the runway approaches, as well as two years’ worth of spare parts. Contarnex Europe Limited (CEL) is the UK’s leading specialist supplier of European-made aircraft warning lights, low intensity obstruction lighting, medium intensity obstacle lights and other aircraft warning lights and products. The company provides a wide range of frangible structures, for airports and airfields, as well as a comprehensive advisory service to help customers comply with regulations relating to aviation and building safety. CEL’s range of products also includes aircraft warning lights for tall buildings, wind turbines, tower cranes and all other high-rise structures which may present significant safety hazards for commercial and military aviation. The company’s new CEL infrared light is the only vertical obstruction lighting product to have received full clearance from the UK’s Ministry of Defence. 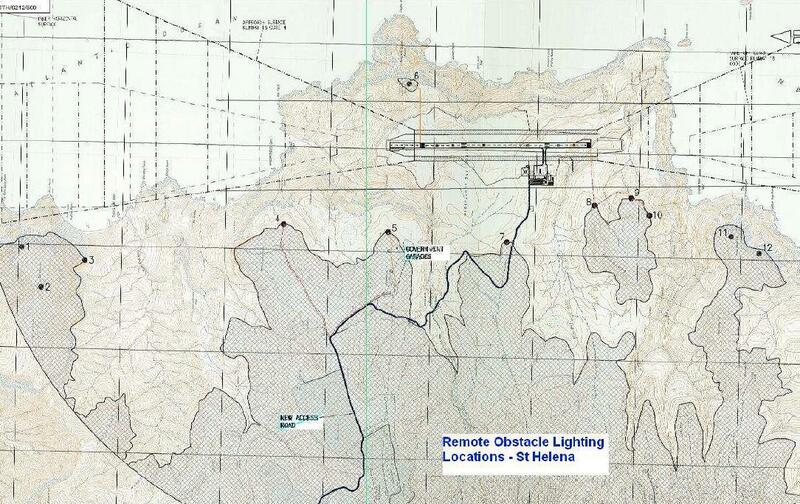 St Helena’s new airport is protected by CEL’s Medium Intensity ICAO Type-C obstruction lights. Additional benefits include extended LED lifetime, long warranties, very low power consumption and a compact lightweight design.